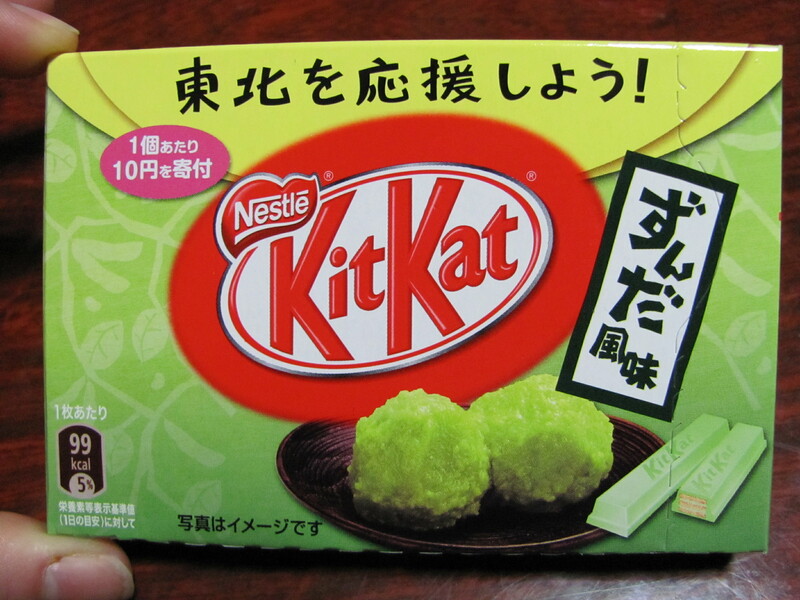 We’re All Rooting for You: Tohoku Zunda Kitkats – I'll Make It Myself! "Warring States Period" Dango. Zunda is on the left. My local Family Mart never has interesting KitKits, but this weekend, I stumbled upon something special: Zunda KitKats. I had just seen The Food Librarian‘s post on zunda, too– what luck! 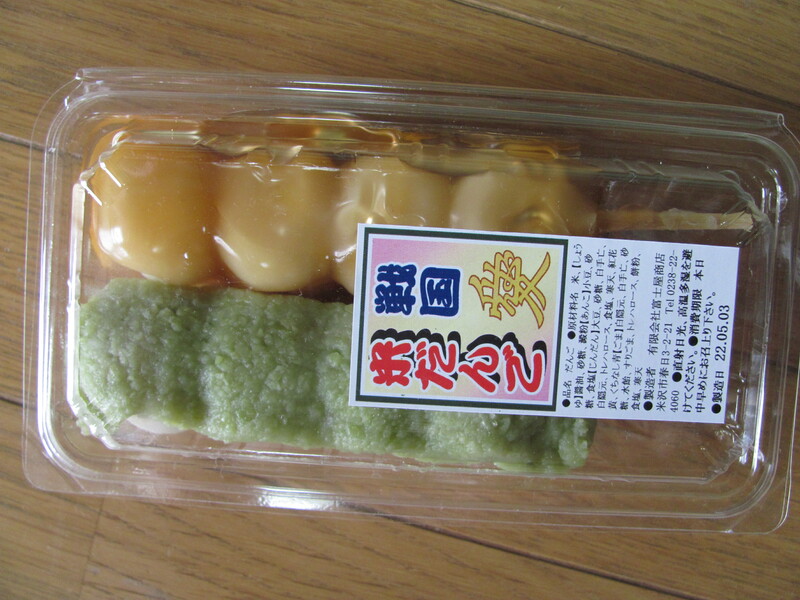 Zunda is a specialty of Tohoku (northeastern Japan), more specifically Sendai. Usually served on or with mochi, zunda is mashed edamame mixed with sugar, water, and sometimes potato starch. When I visited Fukushima in 2010, I got to try a zunda milkshake (ずんだシェーキ) at Zunda Saryo in Fukushima. I wondered if this were a seasonal flavor, but then I noticed the Japanese written on the front of the box: 東北を応援しよう！ (Let’s support Tohoku!) According to the package, 10 yen from the purchase of every box goes to charity. Zunda is a local cuisine of Tohoku that is made from mashed edamame. This flavor of KitKat, based on the Tohoku-only omiyage series “KitKat Mini Zunda-Style,” is being sold as a “Support Tohoku” Flavor. KitKats, zunda, and charity? You don’t have to ask me twice! Pingback: Kaga Yasai: Aka-Kabocha with Sesame Sauce « I'll Make It Myself!